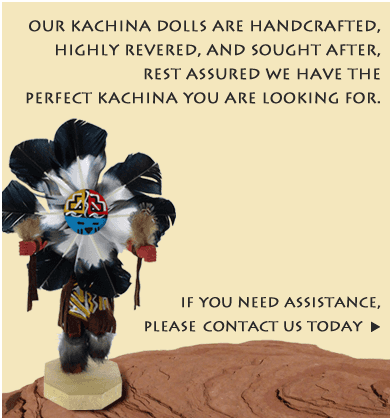 We carry Navajo Kachina Dolls from artists across the southwest. The style of dolls will vary between artists. For example, our "fancy kachina dolls" contain fur around the wrists and ankles and are decorated with genuine turquoise stones. The dolls are individually hand-crafted and painted. Only the highest quality materials are used including real deer skin leather, rabbit furs, turkey and pheasant feathers, and paints. 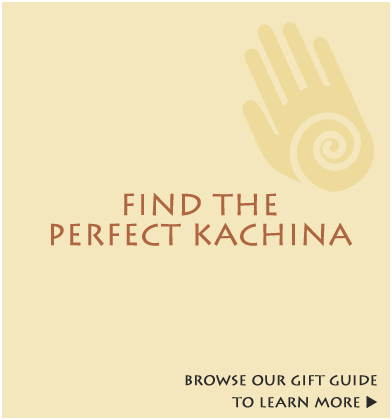 Each kachina is signed and numbered for authenticity. If you're shopping for someone else, don't worry, they will probably love what you pick. 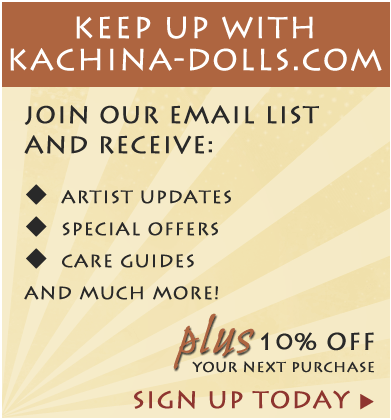 Learn how kachina dolls are made and take a look at the kachina dictionary for more info.